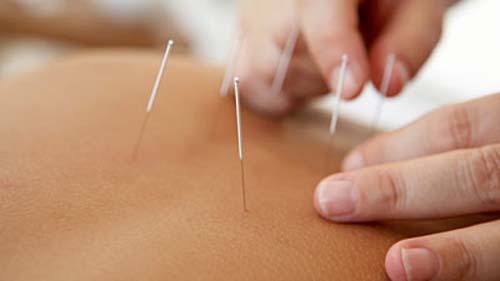 Acupuncture is a family of procedures involving stimulation of anatomical locations on or in the skin by a variety of techniques. There are a variety of approaches to diagnosis and treatment in American acupuncture that incorporate medical traditions from China, Japan, Korea, and other countries. The most thoroughly studied mechanism of stimulation of acupuncture points employs penetration of the skin by thin, solid, metallic needles, which are manipulated manually.